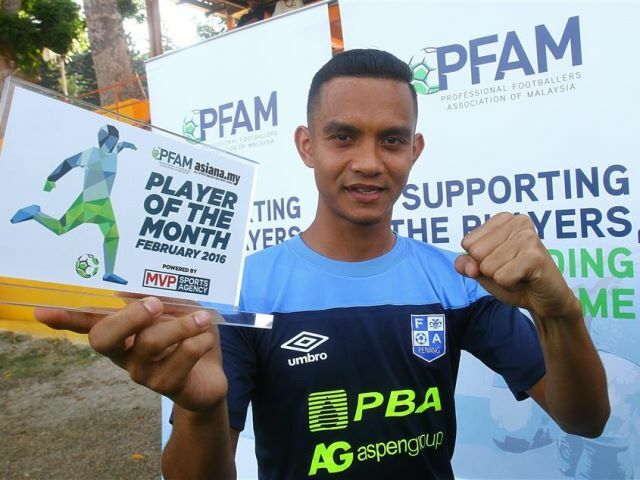 Mohd Faiz Subri, the Malaysian footballer from Penang who performed a miraculous kick back in February that attracted international attention, will now be considered as one of the finalists for FIFA Puskás Award 2016, the award which recognises the “world's most beautiful goal” of the year. The news is confirmed by the Football Association of Malaysia (FAM) after receiving favourable reply from the governing body of football association itself, FIFA. In mid-February, FAM submitted an application to FIFA to nominate Faiz Subri’s wonder goal for the 2016 FIFA Puskás Award. They then received a reply letter on 14 March signed by acting FIFA secretary-general, Markus Kattner who thanked them for sending the video clip of the goal and said that they would definitely consider Faiz Subri as one of the finalists. Faiz Subri did an amazing curl-kick during a match against Pahang. “Though FIFA did not give any assurance that the goal will be listed among the 10 shortlisted entries for the FIFA's Puskás Award, Kattner had said FIFA would consider Faiz Subri's goal just like all the other entries from all over the world,” said FAM secretary-general, Datuk Hamidin Mohd Amin in a statement obtained by the Malaysian Insider. He also said that FIFA would inform FAM if Faiz Subri’s goal manages to get shortlisted among the top 10 finalists for the 2016 Puskás Award.